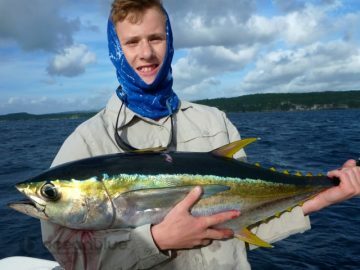 Teen Lands Vanuatu Hat Trick! 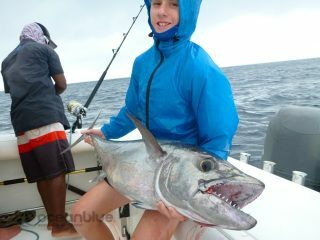 13 year old Ethan Wingrove along with father Tim, grandfather Bill & friend Nigel Page recently experience Bluewater fishing in Vanuatu whilst staying at Trees and Fishes. 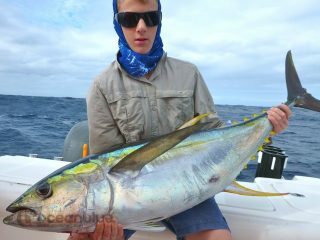 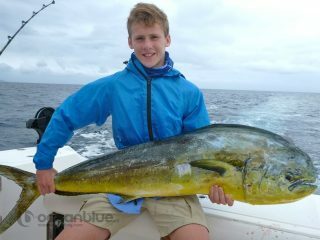 Ethan surely was the star of the trip who was quickly put to the test and taken under the wing of Ocean Blue guide, Eric Festa. 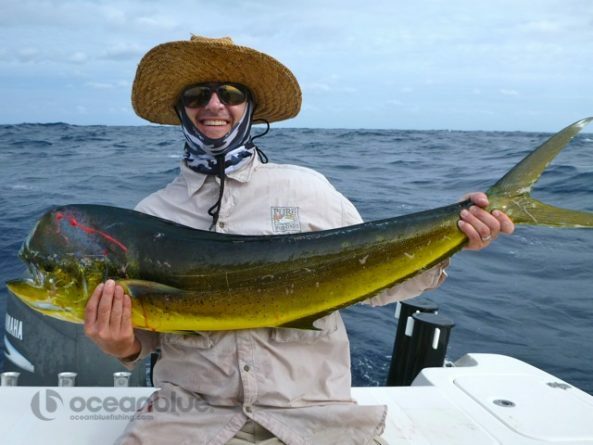 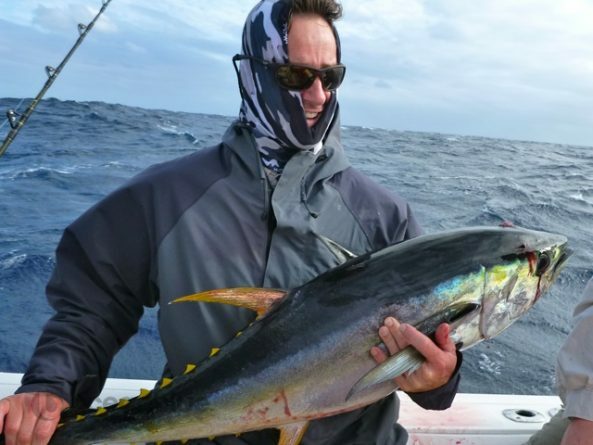 Despite the repetitive “talk less and more wind, wind, wind” of Eric, Ethan through his effort, persistence was connected with the fish from the get go. 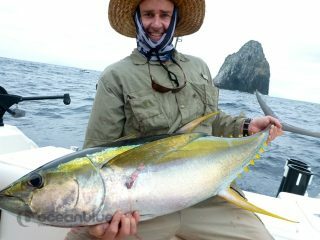 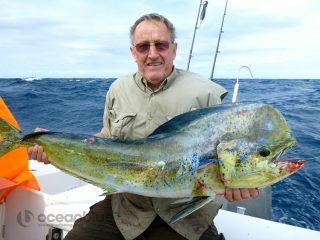 His Vanuatu hat trick included dogtooth tuna, yellow fin and mahi mahi. 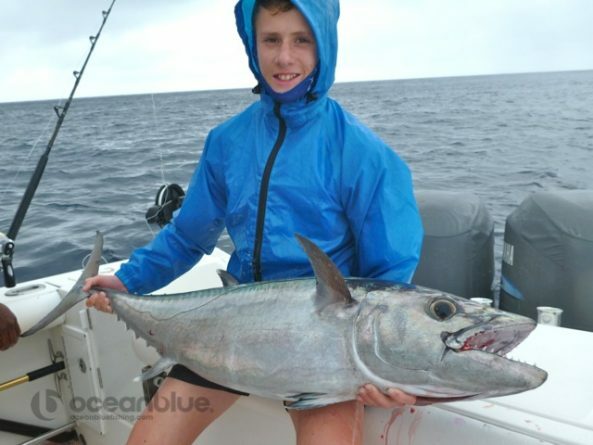 Congratulations to Ethan on his outstanding effort, attitude and I am sure we will hear more of this young teenager achievements in the near future. 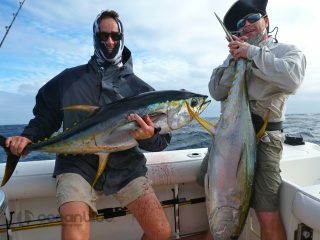 Also a congratulations to Tim, Bill and Nigel on they great catches. Vanuatu Bluewater Fishing Adventure Wingrove 29th June – 7th July 2015! Fishing Vanuatu with Mates-Phil Cray 8th-12th July 2015!